Queen of France at 16, at 18 Mary Stuart (Saoirse Ronan) is widowed. Refusing pressure to remarry, she returns to her native Scotland to reclaim her rightful throne. By birth, Mary also has a rival claim to the throne of Elizabeth I (Margot Robbie), who rules as England’s Queen. A capable politician and leader, Mary seeks an alliance with her cousin Elizabeth, while fighting to govern her unruly kingdom at a time when female monarchs are reviled as monstrous. To secure their thrones, the two Queens make very different choices about marriage and children. Mary’s reputation is under continual attack from her enemies, who construct lies about her sexual conduct. Betrayal, rebellion and conspiracies within each court imperil both Queens –driving them apart, as each woman experiences the bitter cost of power. Mary Queen Of Scots is an atmospheric imagining of a time when Mary Stuart held the throne in Scotland and Elizabeth 1 was England’s Queen. Josie Rourke’s tense and entertaining film explores what life might have been like for these powerful, yet vulnerable women and questions whether they could have supported each other amid the deceitful interference of their male advisors. While far from a history lesson (“factual” inaccuracies abound) the events and themes examined in Mary Queen of Scots are nonetheless gripping (boy was this a brutal, unforgiving time) and fascinating - reflecting many of the issues still facing women today. Full of drama, action, romance and tragedy, Mary’s life is a screenwriter’s dream (in this case, Beau Willimon). However, the film’s success and strength lies not in its script or narrative but in the performances of its two leads. Saoirse Ronan and Margot Robbie are superb in their roles. Both give nuanced, emotionally powerful performances. It is, as the title suggests, Ronan’s film. As we have come to expect from this phenomenally talented actor, she gives us another flawless portrayal (and another brilliant accent). Ronan and Robbie are at the top of their game in Mary Queen of Scots - true cinema royalty. The costume design, by Alexandra Byrne, in Mary Queen of Scots is spectacular. 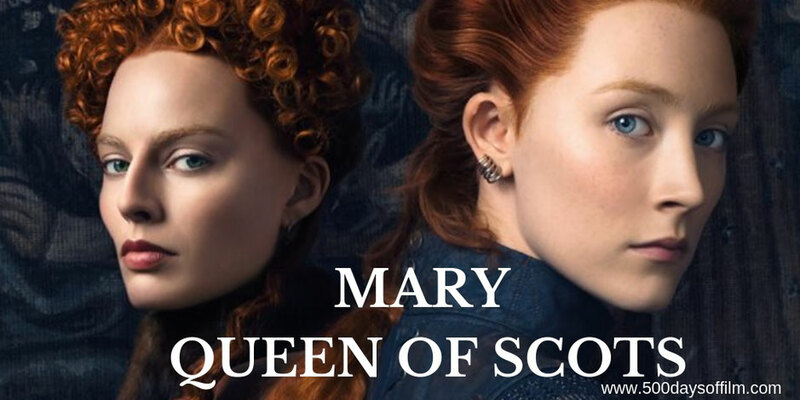 Have you seen Mary Queen of Scots?